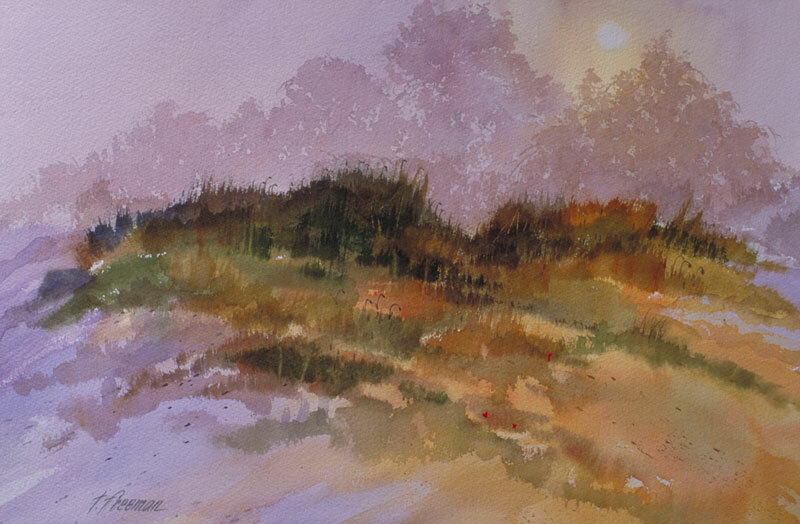 Thomas Freeman Original Watercolor Painting: "Dunes in Fog"
I always liked this one. This was down in Asilomar, early morning, where you get this heavy fog. Then the sun comes out and you briefly have this sunny/foggy mix until the fog burns off. Here the background trees remain in fog but the dune in the foreground is now in the sun.